Duncan McCue, CBC NewsGrand Chief Stewart Phillip, President of the Union of B.C. Indian Chiefs, Chair of the Okanagan Nation AllianceOssie Michelin, APTNDavid Wiwchar, News Director 93.3 The Peak, ISLAND RADIO (Port Alberni, B.C. ), CAJ national director -- moderatorThe reporting of First Nations issues is becoming increasingly prominent. Is this due to an improving relationship between First Nations leaders and reporters, or is it because there is an increasing number of First Nations reporters? We'll have two of Canada's most prominent First Nations leaders along with a veteran journalist and a young First Nations reporter discuss these and related issues. 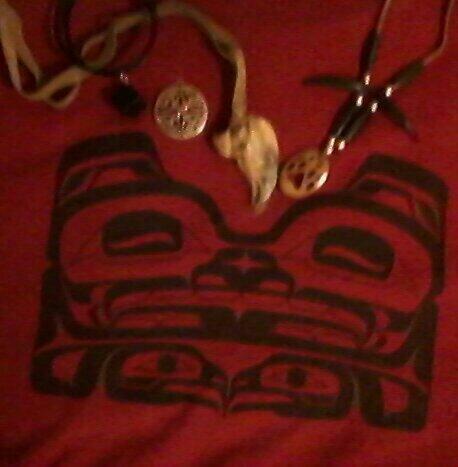 Thanks goes to the Musqueam people whose territory we are in. Duncan McCue: Most of you are here to learn how to do a better job cover First Nations. They're voices are sorely under represented. .5% over three years of media content dealt with media issues over the period of Idle No More. We're chasing viewers, reaching out, so they can see themselves represented. Give them the news and they are going to come to your outlet. Reach out to Aboriginal audiences, see yourself as a story taker. Outsiders have sad we want to help, we want to know your story. We've had a Century and a half of that. We must do our best to build relationships to change that. Grand Chief Doug Kelly is speaking for "The Trouble Counsel" as he calls it. Talks about Colonial thinking and how First Nations need to be seen as people who are capable of solving their own problems. Establishing relationships is the theme for today and into the future to build trust. Two kinds of people in the world. Those who get grey hair and those who cause grey hair. To build trust, if you're not going to use the content you ask for, don't ask it. NOTE: Don't get into the face of people who are grieving. First stop should be at the band office, is there a cultural protocol I should follow? Is there a family spokesperson? Grand Chief Phillip Stewart: Good day my relatives... acknowledging indigenous peoples. Develop a healthy respect of the role we both play. Respect is essential to any relationship and it is reciprocated. All the issues around the environment and the push on the Harper Gov't with respect to resource development are going to loom very large for all of us. Reporters need to do their research in the little things. The reporters we love are the ones who have spent time with us.